Love the way you look and feel fabulous everyday with an EXPERIENCE that is personalized just for you! shopping less, spending less, looking better and feeling FABULOUS! 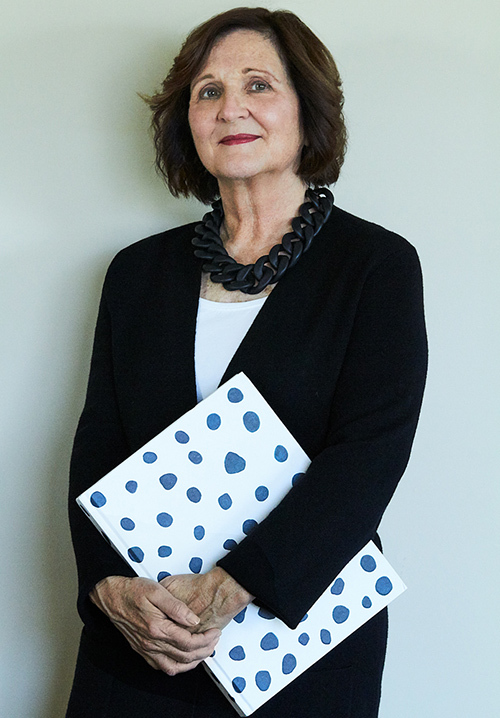 Personal Style Consultant, Susan Luc offers the expertise and insight to create a relaxed, stress free and personal experience. She will recommend Personal Services designed to enhance your style and meet your wardrobe goals, taking into consideration your body type, personal style, life style and budget. Most women wear 20% of their wardrobe 80% of the time! Lets go through your closet and select the best pieces that fit your body type, life style, personal style and wardrobe goals. This includes shoes, handbags and accessories. As we edit your closet, I will advise what looks best on you and why. We will decide what to keep, what needs to go to the tailor, sent to consignment or donated. An edited wardrobe allows for living with only what you love and makes you feel fabulous! No matter the occasion or last minute situation, you are always prepared. Once we have a list, let’s go shopping! Based on your shopping list and budget, we will decide where to shop. “Targeted” shopping means not wandering around the store wondering what you need, what to try on, if you are getting an honest opinion, or if someone is trying to make a sale. I will pre-shop and a selection of items will be waiting for you when you arrive at the store. If you don't have time or hate to shop, I will shop for you and bring a selection of items to your home. I can also assist you with online shopping. When we go shopping together, we select just the right items and I will share styling tips and make note of any alterations, resulting in a relaxing, productive shopping trip. After the Closet Editing, I will put together updated, pulled together and polished looks from the clothes and accessories you already own! You will be surprised at the number of fresh, personalized and unique looks that are hiding in your closet. You won’t necessarily need lots of new clothes, just wearing what you own in new ways, discovering and developing your own personal style! Each look will be photographed and all pieces, shoes and accessories listed. You will receive your personal “Style Story” notebook that includes the photos and details of each look, for daily reference. A shopping list and style notes is included. Your “Style Story” in available in either print or digital format. Taking some time to plan ahead will allow you to kiss that morning frustration of “what should I wear today?” goodbye! As we will build a fabulous new wardrobe that you love, let’s be sure that everything in your closet is neatly organized and arranged, looks tidy, and enables you to find items easily. 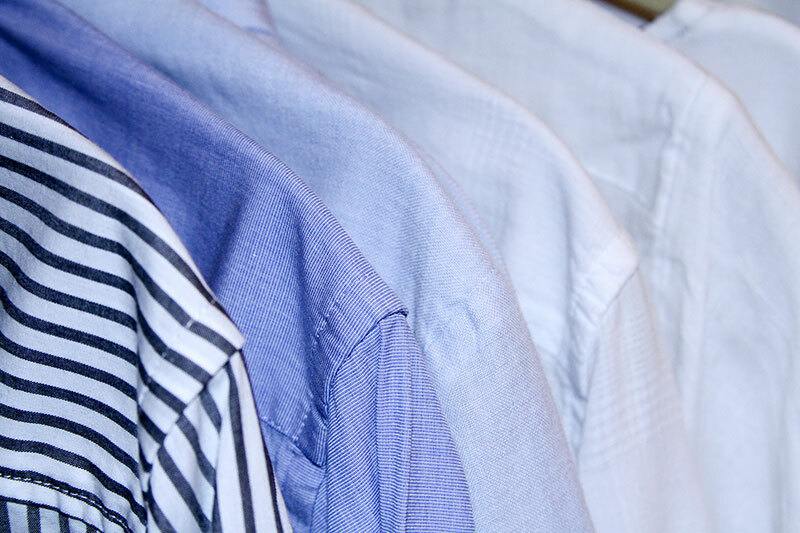 I will arrange your wardrobe by type, color, style and season. I offer seasonal updates so we can transition your wardrobe from Spring/Summer to Fall/Winter. We will build on what you already own, update and replace items as needed. 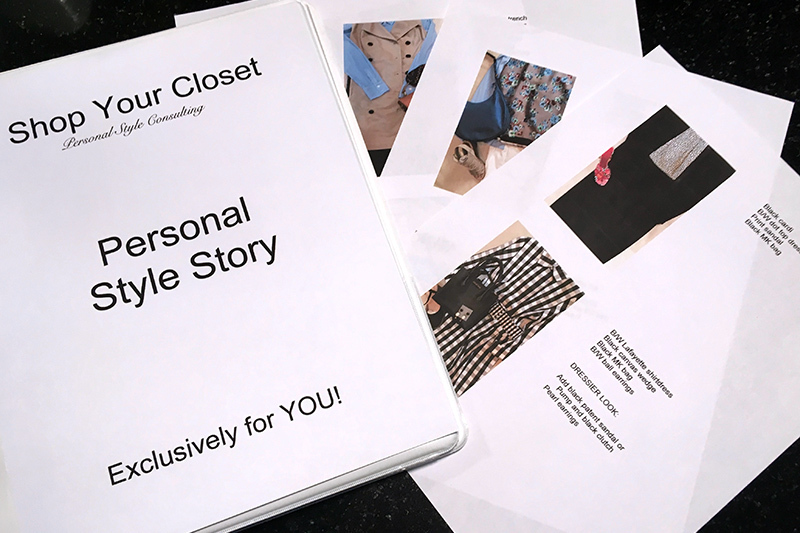 An edited, organized wardrobe, paired with your personal “Style Story” notebook and the CONFIDENCE you gain will add up to the COMPLETE Shop Your Closet EXPERIENCE. Special occasion, travel and holiday style sessions are also available. Receive or give the Gift of Style. Gift certificates available. Established in 2009 in Hudson, Ohio, Shop Your Closet has been offering personal styling and shopping services to women and men throughout Northeast Ohio. Founders Susan Luc and Betsy Tabatcher met and became friends working together in the fashion retail industry. They both loved fashion but were buying too many clothes and decided they needed to shop their own closets! Susan and Betsy helped each other put together fabulous outfits, saved time, money and quit obsessing over what to wear. It was so much fun that they decided to share their idea with others and that’s how Shop Your Closet was born. As they worked with clients, Susan and Betsy realized that it was not just about the clothes. It was about sharing a personal experience and relationship with each client, helping them to develop their own personal style, relieving the day-to-day stress of what to wear and to walk out the door each day with confidence. Shop Your Closet has been featured in the Cleveland Plain Dealer, Akron Beacon Journal, Akron Life Magazine and were regular guests on the Robin Swoboda Show (Fox 8 in Cleveland), authored and styled the bi-monthly “Fashion Sense” article in Akron Life magazine. After a brief hiatus, Shop Your Closet re-launched in the summer of 2015, relocating to North Ridgeville, OH and adding services to Elyria, Avon, Avon Lake, Westlake, North Olmsted, Strongsville, and surrounding areas. Working in retail for over 20 years I have been involved in many facets of the fashion retail industry, working for retailers including Ann Taylor LOFT, Chico’s, and lifestyle brand Laura Ashley. Starting my own business was a long time dream come true! With 10 years of experience as a Personal Stylist I have honed my expertise and ability to understand the unique body types, personal style, and wardrobe needs of my clients. I enjoy working one-on-one with clients, building long term, personal relationships and strive to make each Shop Your Closet experience personal, relaxing and fun! Shop Your Closet Clients have expressed their pleasure with my style sense and ability to help them create their own personal style, putting together a stress-free wardrobe that make them feel polished, put together, confident and FABUOLOUS everyday. Married for 38 years, I am the proud mom of two talented adult children. I earned a Bachelor’s Degree in Art Education and a Minor in Art History from Youngstown State University. Besides fashion, yoga and travel, I love my volunteer time as a personal shopper and workshop facilitator at Dress for Success Cleveland. Susan is an amazingly talented fashion "coach" and closet organizer. I had the pleasure of being introduced to Susan over 3 years ago, and she has transformed my life with her approach of taking my existing wardrobe …Susan is also a great personal shopper. When she sees I am missing a classic piece or if I have a special event, Susan always finds the right solution. Then she documents all the great looks she created in my personal fashion "bible." Getting ready for business travel and personal fun trips has never been so easy....open my binder, select the looks and quickly put the pieces out to pack...amazing. Although Susan is great at what she does, the one thing I absolutely value about her is honesty. She is candid about what works for me and what doesn't and it is because of her I have a little fabulous in my life! Susan helped my son as he transitioned from high school to college and into a professional internship. Although mom's advise was not worth taking, he built a trusting relationship with Susan and learned the basics about grooming and now he has some great looks he wears all the time. Susan simply amazed me with this...my son had a fun time shopping with her....what's with that...guys don't like to shop! I was so happy to hear that Susan was back in business. I had my closet done a few months ago. Let me tell you it was the best thing I could ever have done for myself. It was a wonderful experience. Susan has a keen eye for fashion and was so amazing how she saw outfits that I couldn’t see before. Susan helped me put my wardrobe back on track. Sometimes we all need a little help. The cash I made from the “no-no’” was a nice bonus. Thank you Susan and I wish you great successes in your new adventure in the fashion world. "Shop Your Closet" has been a valued resource for me for over four years. As a busy executive for a consulting company and mom of two active boys, I found it hard to find time to keep my wardrobe fresh. Susan stops by a few times a year to review my closet and fill in the missing pieces and accessories. She understands my style and has found items that I treasure and have become foundation pieces for my look. But what I love best about Susan is how much time and money she has saved me over the years. From time to time we go shopping and she has dressing rooms set-up, ready to go, so we can accomplish a very productive trip in less than two hours! I highly recommend Susan to anyone needing an outside opinion-- she is gentle but honest and always exceeds my expectations!" I'm excited that SYC is starting again. Shop Your CLoset helped me so much transitioning from stay at home to working again. I appreciate the money I saved by using what I had in my closet. Susan has helped me with outfits on my weight loss journey. I'm am not buying a lot when clothes, but I don't want to spend a fortune on new clothes when I won't be at that weight very long. I'm really looking forward to reaching my goal weight and can buy more. Working with Susan of Shop Your Closet has simplified my life. I no longer wake up thinking, “What am I going to wear today?” I can just go to my notebook which contains a variety of outfits that Susan has created using the clothes in my closet. Susan is very easy to work with. She has ideas for putting pieces together that I never would have thought of! I often receive many compliments on my outfits. 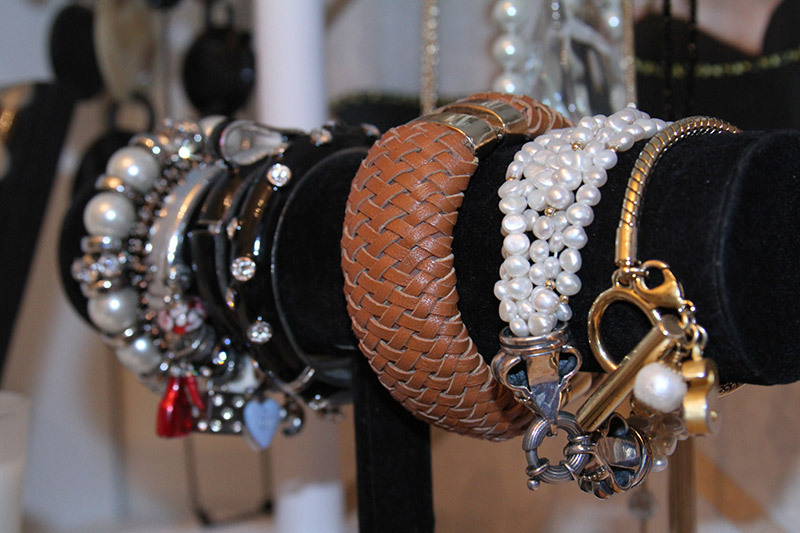 In addition, to helping you design outfits; Susan will also shop with you for new pieces to round out your wardrobe. I have worked with Susan for 3 years and plan to work with her for many more to come! I am a full time professional and proud mother of 2 children ages 7 and 10. Balancing family and my professional career, can be challenging. I have never liked shopping, and don't have the time to spend on shopping or thinking about fashion. With all of the demands of owning my own company and balancing motherhood, having Susan's Shop Your Closet services has been a lifesaver for me. Not only does Shop Your Closet take the worry and anxiety out of my life, about what to wear, and when to wear it, but the services they provide have afforded me confidence in this area of my life, that I never had before. Confidence and happiness have replaced the worry and anxiety of never knowing what to wear!!! Susan has selected a wardrobe for me that is just my style, and I consistently receive compliments on my professional, yet fashionable attire. I have worked with Shop Your Closet for some time now. Most recently we did an entire makeover of this year's Fall/Winter wardrobe. In the spring, they will be coming back again, for a complete makeover on my Spring/Summer wardrobe, for both professional and casual. Susan is a delight to work with. My life would be filled with anxiety and stress, without Shop Your Closet helping me with this part of my life. I had been looking for a service like Shop Your Closet for some time, so finding Susan Luc was exciting. She helped me define my style, and with her knowledge and my closet, we put together several outfits. The Style Book she put together includes pictures of these outfits with accessories, shoes, and handbags. It also includes style tips and a list of items that would be helpful to have. Susan was knowledgeable, patient, and fun to work with! I find the Style Story notebook helpful – I’m doing a pretty good job of following it. I’ve also made some of the changes Susan recommended. Susan has a great way of helping her clients make sense of what they have in their closet and make the most of it. I’m looking forward to scheduling time with Susan again to plan for the fall. What differentiates Susan from other stylists is her ability and passion to listen to each woman and help her to become an even better version of who she already is, rather than somebody she no longer recognizes. For 5+ years Susan has provided me with styling advice, personal shopping, and a closet transformation, which is now my stress-free oasis, where I can select an outfit and be out the door in minutes, feeling and looking fabulous!